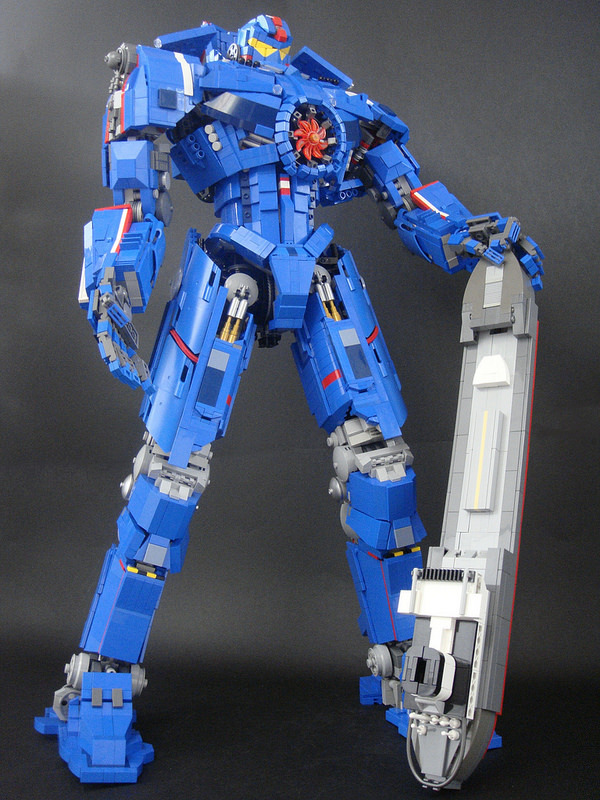 We’ve featured a few Pacific Rim creations here, including a kaiju and a couple of Jaegers. Regardless if you loved or hated the movie, you’ve got to admit there’s something completely awesome about the massive robots. Today, I present to you Gipsy Danger, built by JAN LEGO – complete with cargo ship. And if you’d like more robot goodness from this builder, I HIGHLY suggest taking a peak at the rest of their flickr stream.